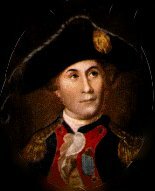 During the French Revolution, Commodore John Paul Jones, the great naval leader of the American Revolution, died in Paris at the age of 45. Lacking official status and without financial security, Jones died alone in his apartment on July 18, 1792. An admiring French friend arranged for his funeral and provided for a handsome lead coffin. John Paul Jones was buried in St. Louis Cemetery, the property of the French royal family. Four years later France's revolutionary government sold the property and the cemetery was forgotten. Over a century later, a search began to find the body of John Paul Jones for the purpose of returning his remains to the United States. 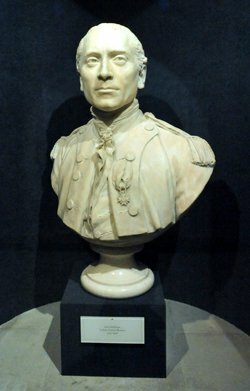 The American Ambassador to France, General Horace Porter, personally led in the research to relocate the forgotten cemetery, provided the funds to excavate the casket and coordinated the efforts to repatriate the mortal remains of the great naval hero. Correspondence, antique maps and other records in the French national library and archives provided Ambassador Porter the information which helped in the discovery of the built-over cemetery. After weeks of tunneling through basement walls and streets, the casket of Jones was found and disinterred. Remarkably, his corpse, which had been wrapped in a winding cloth and placed in straw and alcohol in a tightly sealed lead casket, was nearly perfectly preserved. He was taken to the University of Paris where a complete autopsy was performed. There the head of the corpse was compared to the sculptured portrait bust of Jones executed in 1780 by Jean Antoine Houdon, who had taken a plaster impression directly for his subject's head. The autopsy and forensic study proved conclusively that the body was John Paul Jones. He had died of the kidney ailment nephritis, complicated by pneumonia. Following an impressive parade, a religious service in Paris and a special train arranged by the French government to the port of Cherbourg, the remains of John Paul Jones were transferred to the USS Brooklyn, flagship of a special naval squadron sent by President Theodore Roosevelt to bring Jones home to his "country of fond election" and to the nation for which he immeasurably helped gain independence. On July 24, 1905, the naval tug Standish carried the casket ashore at Annapolis, Md., for placement in a temporary vault across the street from the new U.S. Naval Academy Chapel, which was under construction. On April 24, 1906, elaborate and impressive ceremonies in commemoration of John Paul Jones were held in Dahlgren Hall, the new Naval Academy armory. Incidentally, this day was the anniversary of the battle between the Jones's Ranger and HMS Drake, fought in the Irish Sea in 1778. It had been the first major naval battle fought under the newly adopted "starred and striped" flag and had resulted in Jones' capture of an important warship in Great Britain's home waters. President Roosevelt, Ambassador Porter, Admiral George Dewey and many other dignitaries attended the ceremonies. France sent an entire naval fleet up the Chesapeake Bay to mark the occasion. 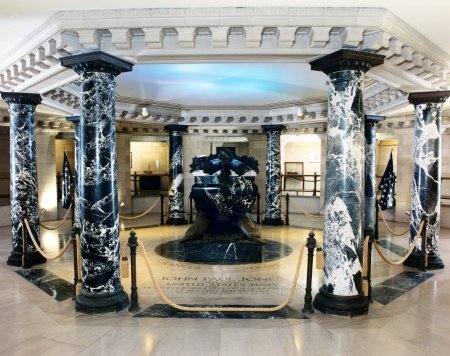 Afterwards the casket of John Paul Jones was placed in the Academy's Bancroft Hall to await completion of his permanent tomb, in the new Naval Academy Chapel. Important historic objects related to Jones' life and naval career are exhibited in niches around the periphery of the circular space. Visitors today the Naval Academy can see an original marble copy of the Houdon portrait bust, the gold medal awarded to Jones by the Congress in 1787, the gold-hilted presentation sword given by Louis XVI of France and Jones commission as Captain, Continental (U.S.) Navy, signed by John Hancock. Here, too, is a plaque to Ambassador Porter, who was responsible for repatriating the great naval leader. Normal public visiting hours are 9 a.m. to 4 p.m., Mondays through Saturdays, and 1 p.m. to 4 p.m. on Sundays. Closed on Federal Holidays. For information call 410-293-1100. An honorable Peace is and always was my first wish! I can take no delight in the effusion of human Blood; but, if this War should continue, I wish to have the most active part in it." I have not yet begun to fight!" I wish to have no connection with any ship that does not sail fast; for I intend to go in harm's way." If fear is cultivated it will become stronger, if faith is cultivated it will achieve mastery." It seems to be a law of nature, inflexible and inexorable, that those who will not risk cannot win." Whoever can surprise well must conquer."